In a new super quiet slot design, the USR rotors are all black anodised and feature slots for cooler brakes and also offer the extra benefit of preventing the ''record groove'' scoring effect common with all plain rotors. 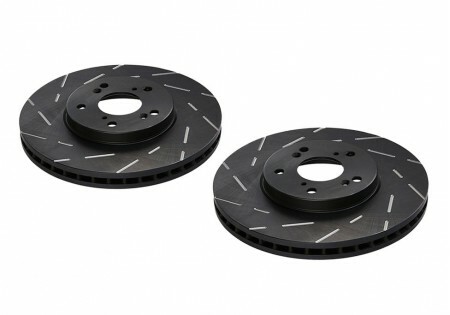 The different slot pattern of the EBC USR Series has made this range a popular choice for drivers who desire improved sport braking with minimal air noise from the slots. 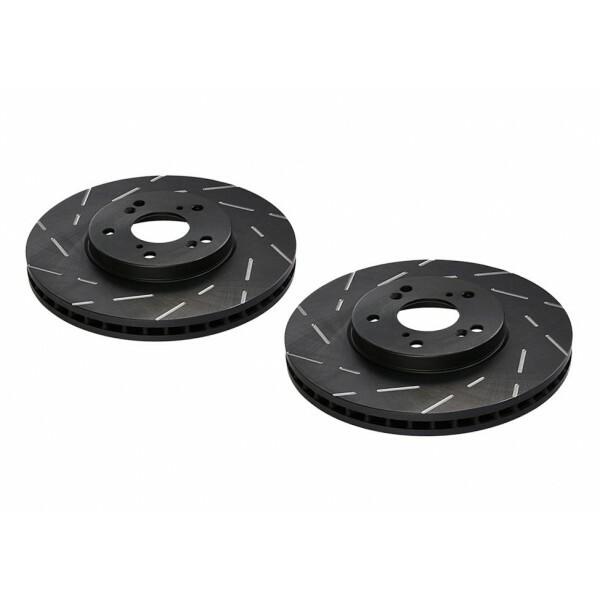 The finer slot pattern is what makes these sport rotors more silent in operation whilst still offering pad degassing and removing dirt dust water and debris from the braking area.